Application for our second special license is approved! 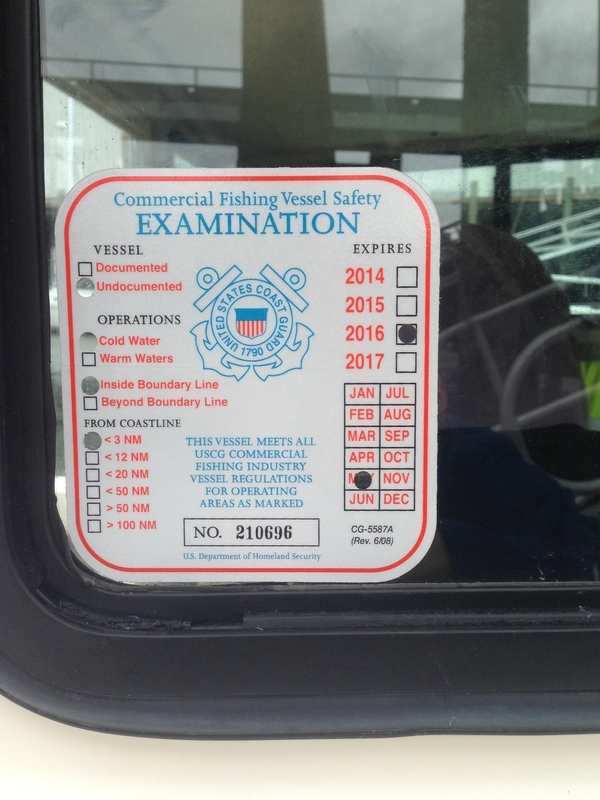 We have had our special license application to the Maine Department of Marine Resources (DMR) approved! This means that we can collect specimens from our rocky intertidal and subtidal explorations around Hurricane Island. Part of the application included estimates on the number of individuals of different species we expect to collect and release over the course of the summer and fall. These estimates will give the DMR some indication about the number of marine organisms handled through specially licensed projects. As part of the special license application, Brian Smith from the Coast Guard had to inspect the Fifth Generation and the Eastern Flyer (the boats we will use to haul lobster traps) to ensure all the required safety equipment is on board and properly stowed. We were able to double check that we had the right equipment on board before the inspection by using the checklist generator tool (pretty exciting!) and we passed the inspection with flying colors!